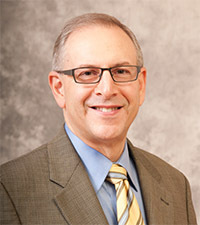 The UW Department of Family Medicine and Community Health’s Richard L. Brown, MD, MPH, recently launched a new project to educate more than 2,000 University of Wisconsin health professions learners on how to provide screening, brief intervention and referral to treatment (SBIRT) for patients with alcohol and drug issues. Dr. Brown is implementing and evaluating the program for family medicine and internal medicine residents and medical, nursing, pharmacy, psychology and social work students. It includes interactive learning modules, including video demonstrations of skills and quizzes, on Learn@UW, the university’s online learning platform. Ultimately, residents and students will practice their skills with patients. For SBIRT, patients are asked once a year to fill out a form with alcohol and drug questions. Medical assistants review the forms and identify any positive responses. Providers can then talk with patients about their alcohol and drug use. Brown also said that studies show alcohol and drug-use intervention cuts down on emergency department visits, hospitalizations and car crashes and accidents. Listen to Dr. Brown’s interview about the new grant on Wisconsin Public Radio. The project is supported by a three-year, $950,000 grant from the U.S. Substance Abuse and Mental Health Services Administration, and administered by the Wisconsin Initiative to Promote Healthy Lifestyles (WIPHL). Dr. Brown also led a similar, smaller program for UW-La Crosse health education students, and participates in a program to administer and evaluate the effectiveness of SBIRT in eight southeastern Wisconsin high schools. Both of those projects were supported by grants from the Wisconsin Partnership Program.